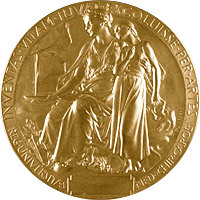 The 2012 Nobel Prize in Physiology or Medicine was announced earlier this week. The prize was awarded to two scientists for their work on reprogramming mature cells to become pluripotent. The prize of 10-million-Swedish-krona (US$1.5-million) was divided, one half jointly to Sir John B. Gurdon, age 79, at the Gurdon Institute, Cambridge, United Kingdom, and Shinya Yamanaka, age 50, at Kyoto University, Kyoto, Japan and the Gladstone Institutes, San Francisco, California, USA, for the discovery that mature, specialized cells can be reprogrammed to become immature cells capable of developing into all tissues of the body. Before a packed East Room audience yesterday, President Obama signed an executive order reversing the Bush administration’s restrictions on federal funding of research that involves human embryonic stem cells. The long-expected change in policy will help U.S. researchers compete with other nations in stem cell research. Indeed, United Kingdom stem cell scientists are already voicing concerns that the U.K. may lose its place to the U.S. as the world leader of stem cell research .